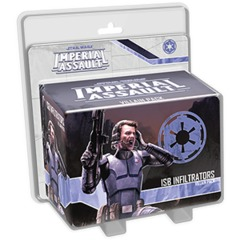 Imperial Assault is a strategy board game of tactical combat and missions for two to five players, offering two distinct games of battle and adventure in the Star Wars™ universe! Imperial Assault puts you in the midst of the Galactic Civil War between the Rebel Alliance and the Galactic Empire after the destruction of the Death Star over Yavin 4 with two separate game experiences. The campaign game pits the limitless troops and resources of the Galactic Empire against a crack team of elite Rebel operatives as they strive to break the Empire’s hold on the galaxy, while the skirmish game invites you and a friend to muster strike teams and battle head-to-head over conflicting objectives.